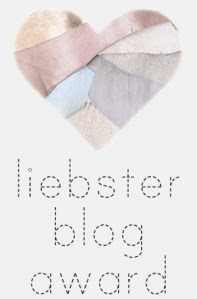 Thank you christina-frankie for nominating me for the Liebster award! She is really beautiful and stylish girl! :) Check out her blog. 2.I love music:jazz,rock,pop,hip-hop,dnb.But I hate heavy metal. 3.I´m funny and friendly person. 4.I love intelligent conversations about interesting things. 5.I hate false and unpleasant people. 6.I love dark things,like horrors. 7.My favourite tv series are : Skins,House,Gossip girl. 8.My style icon is Blake Lively and Leighton Meester. 9.I want to visit New York,London,Paris,Tokyo,Cuba,Mexico,Brasil.